Domaine Benedetti as you might expect from the name, has its roots in Italy. Domaine Benedetti was founded in 1930 by Nicolas Benedetti. Domaine Benedetti is currently being managed by the grandson of the founder Christian Benedetti, and will be succeeded by his son, Nicolas Benedetti. Domaine Benedetti owns 3 hectares of vines in the Chateauneuf du Pape appellation. 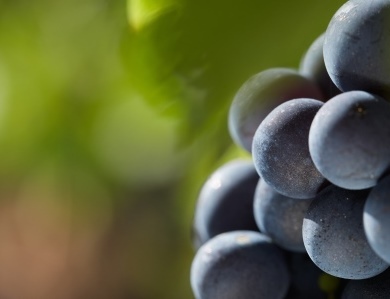 2.6 hectares are used for growing red wine grape varieties. .4 hectares are reserved for white wine grapes. The vineyard has old vines, some of which date back to the late 1800’s. Those older vines were planted just after the attack of Phylloxera that devastated much of the vineyards in Europe in the late 1800’s. All vineyard farming takes place using only 100% biodynamic farming techniques. They also own other vineyards in the Southern Rhone Valley with 10 hectares of vines in the Cotes du Rhone appellation and 2 additional hectares in Vaucluse. Domaine Benedetti was certified as Agriculture Biologique in 2000. Domaine Benedetti produces 2 red Chateauneuf du Pape wines and 1 Chateauneuf du Pape white wine. Domaine Benedetti Chateauneuf du Pape is produced from a blend of 75% Grenache, 15% Syrah, 5% Mourvedre and 5% Cinsault. The wines are vinified in cement vats. The wine is aged in a combination of 20% mostly new, French oak barrels, and the remaining 80% of the wine is aged stainless steel vats. The production is close to 650 cases of wine per vintage. Domaine Benedetti Les Larmes Papale is made from a blend of 75% Grenache, 15% Syrah, 5% Mourvedre and 5% Cinsault. Although the blend can vary, depending on the quality and character of the vintage. The vines used for this wine are at least 40 years of age. The grapes are a parcel selection from the estates best vines. Before vinification, the grapes are interestingly allowed to dry out on straw mats for a few days. I think this is unique to Domaine Benedetti in the region. Malolactic fermentation takes place in barrel. The wine is aged in mostly new, French oak barrels for about 12 months before bottling. The production is quite small with less than 65 cases being made in each vintage. So far, only 3 vintages have been produced, 2003, 2007 and 2009. Domaine Benedetti Blanc is a blend of 40% Grenache Blanc, 40% Roussanne and 20% Bourboulenc. The wine is aged in French oak barrels for 4-6 months before bottling. Domaine Benedetti can be enjoyed on the young side. Young vintages can be popped and poured, or decanted for about 1 hour allowing the wine to soften and open its perfume. Older vintages might need very little decanting, just enough to remove the sediment. Domaine Benedetti is usually better with 1-3 years of bottle age. Of course that can vary slightly, depending on the vintage. In the best vintages the wine should be consumed within 2-9 years after the vintage. Domaine Benedetti is best served at 15.5 degrees Celsius, 60 degrees Fahrenheit. The cool, almost cellar temperature gives the wine more freshness and lift. Domaine Benedetti is best served with all types of classic meat dishes, veal, pork, beef, lamb, duck, game, roast chicken, roasted, braised and grilled dishes. Domaine Benedetti is also good with Asian dishes, hearty fish courses like tuna, mushrooms and pasta. The white wine of Domaine Benedetti is best served with a myriad of different seafood dishes, shellfish, crab, lobster, sushi, sashimi, chicken, pork and veal, as well as Asian cuisine. Forward, soft and approachable, the wine is polished,round and easy on the palate with its sweet black cherry essence. Medium bodied, yet with a touch of over ripe flavors and oak. Round, forward and oaky, this is not exactly my thing. The wine was made from a blend of 90% Grenache and 10% Syrah.